J & J Quality Construction, Inc. is a family owned and operated company. Where Quality Exceeds Your Expectations! Our priority is to provide our clients with outstanding service and quality. Our company was founded with four simple goals in mind - to develop and maintain the trust of our clients, to deliver a final product that goes beyond the expectations of our clients, to build positive relationships with every project that is entrusted to us and to be regarded as the best, most ethical construction firm in the industry. We are licensed General Contractors, with a General B and C-6 classification. We carry general liability for residential and commercial projects as well as workers’ compensation insurance for our employee’s. We combine artistry and craftsmanship to create the most efficient and appealing solution to any construction or remodeling need. As a family-owned and operated company, J & J Quality Construction, Inc. is proud to be a leading provider of contractor services throughout Fresno, California. Each client we work with receives hands-on service from our owners, Robert Jackson and Michael Jackson. With many years of experience in the construction industry, we’re confident we can handle all of your needs. 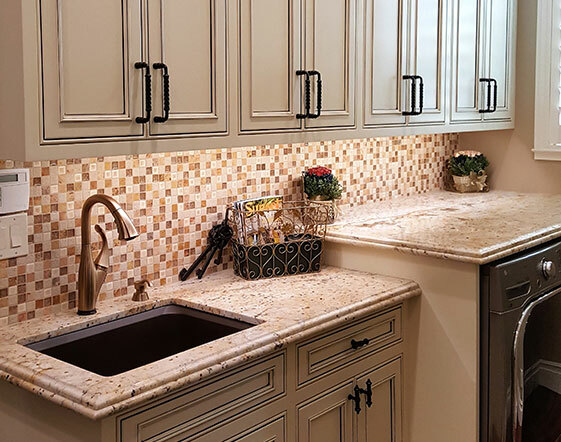 Our services include home remodeling, kitchen remodeling, bathroom remodeling, cabinets and carpentry, and commercial projects. We also specialize in home building, room additions, and outdoor living areas. If you’re interested in learning more about our general contractor services, contact our team today, or get your quick quote online.